A highlight of the Florence Collection, the Florence Rectangular Dining Table by Moe’s Home Collection is a piece with enough rustic style for the whole family to enjoy. The spacious tabletop offers ample elbow room and seating space, while sturdy arched legs and a stretcher add interest at the base. 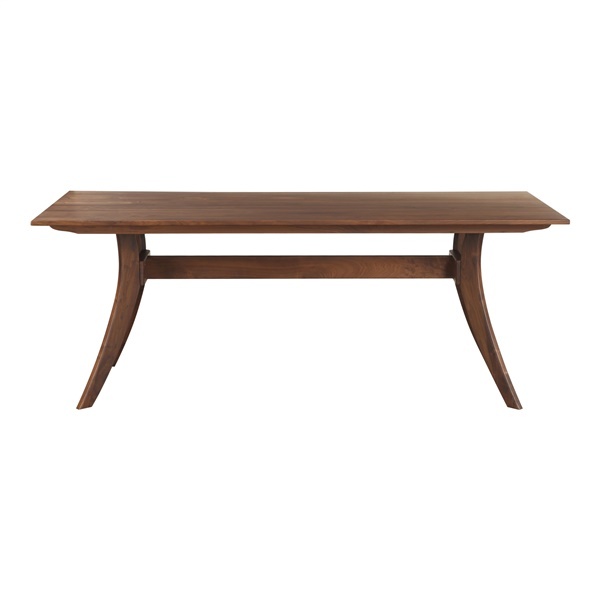 Crafted in Vietnam, this dining table boasts solid American Walnut wood with a visible grain, which makes for an organic dining experience. Combine Moe’s Florence Rectangular Dining Table with the Florence Dining Chair to complete the set.